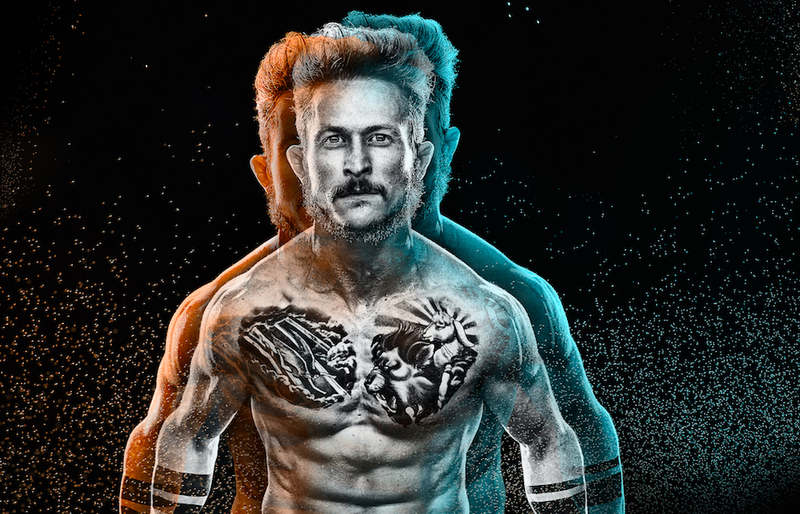 Below is a good story about Jonathan Tucker, an actor you'll want to watch — and work with — after hearing what he has to say about TV. 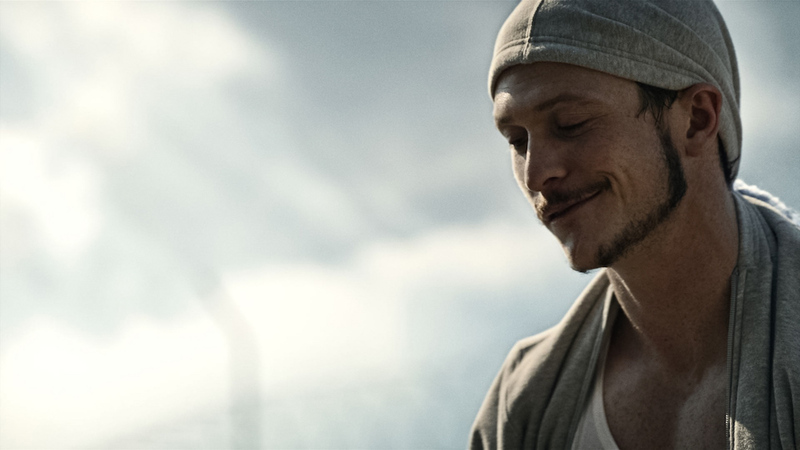 When people say they’ll give you everything they’ve got, few mean it the way Jonathan Tucker does. Blood, sweat, and tears only begin to describe what he puts into his work, and he’s literally given all three to “Kingdom” — you can watch him do it. The sweat and the tears are to be expected when portraying a fighter, as Tucker has done for nearly 40 episodes on the Audience Network original series (now airing and set to end this year). Long before he stole the opening scene of “American Gods,” the young actor from “The Virgin Suicides,” “Sleepers,” “The Black Donnellys” and “Justified,” has embodied the physical and emotional requisites of an impassioned tough guy. He trained every day on the “Kingdom” set’s functioning gym, and he’s wept repeatedly on camera during Jay Kulina’s many vulnerable moments. But the blood, well, there’s a story there. Before Tucker gets into sharing why he sought medical advice from a fight choreographer instead of the recommended emergency room doctor, it’s important to know something about Tucker: The man respects his art. No — the man really respects his art. When you speak to Tucker, either over the phone or on set, he’s relaxed and well-reasoned; he speaks with passion, but he’s not overly indulgent. You get the sense praise given is praise earned, and he’s only willing to exalt his co-workers — especially the crew on “Kingdom.” He sees acting as a “luxury” and feels privileged to be able to hone his skills during downtime on set, while producers, directors, gaffers, lighting technicians, and more crew members handle the real problems. Such quotes could sound cliched if he didn’t back them up. For instance — regarding the day he shed more blood than one should for a TV show — he said, “I was completely and utterly obsessed with finishing this fight.” And you know he’s serious. He wasn’t there for himself, he was there for the show, for the art, for the story, and they were going to get this scene — even if it meant forever scarring the face that supports his career. The short version of the story is that Tucker got clocked, hard, right in the face by a real MMA fighter, and he needed stitches before they could finish shooting a pivotal scene. But the long story, which takes a bit of prying to get out of Tucker, is much better. Tucker blamed “a miscommunication” between himself and Hieron for what happened next. The “miscommunication” happened before lunch, so why did it take so long for Tucker to get stitches for the bloody gash in his face? He had to finish the fight. “I spent all this time rehearsing this scene, and the fight choreography is really what gives our show street credentials for so many of the MMA fans,” Tucker said, again crediting the crew, trainers, and choreographers. But he wanted to help build that legitimacy, too. While Tucker did not elaborate on who “they” were, a representative for the series said it was Tucker who refused to leave — knowing how many problems it would cause the production for him to be gone for hours on end — and that he asked the MMA fighters on set what they would do in a real-life fight. One told him he’d use super glue to close the wound, and no one could talk Tucker out of doing just that. When pressed about whether or not he would have done the same thing for any role, any show, any team of storytellers, Tucker said he doesn’t want to work on projects where he’d feel OK about “leaving my crew behind.” But first he tried to think of a scenario in which he would’ve left the “Kingdom” set. Moreover, Tucker saw the moment as a way to prove to his collaborators how seriously he took his part in the story. Yet after all this — all the training, all his physical efforts to bring the production together as a team, and for his complete dedication to earning the respect of the MMA community — these aspects aren’t the most remarkable elements of his onscreen performance. The series is realistic in a way that keeps you from questioning the legitimacy of these fighters, which is exactly the effect Tucker described. And that allows audiences to marvel at his intimate, honest scenes outside the ring. Much like “Friday Night Lights” wasn’t really about football, “Kingdom” is about the men and women of their sport more than the sport itself. Tucker’s range extends from quiet intensity to open-hearted anguish; from sweat counted in beads to tears rolling like a stream. “Kingdom” airs new episodes of its final season every Wednesday at 8 p.m. on Audience Network.